We are honored to open our kitchen to Chef Jonathan Benno, who will be preparing an unforgettable five-course dinner along with Pastry Chef Richard Capizzi. 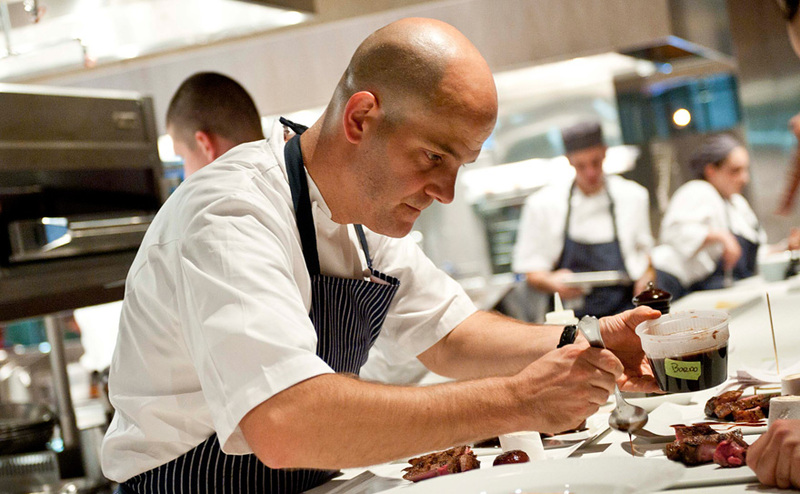 Benno, former chef de cuisine at the world-renowned, four-star fine dining restaurant, Per Se in New York, is the executive chef at the highly acclaimed Lincoln Ristorante at the Lincoln Center. Lincoln Ristorante has been awarded "Best New Restaurant in America 2011" by GQ Magazine and one of the top "Best New Restaurants 2011" by Esquire. The menu will be paired with wines from Terra Valentine Winery. In attendance will be winemaker and general manager Sam Baxter.